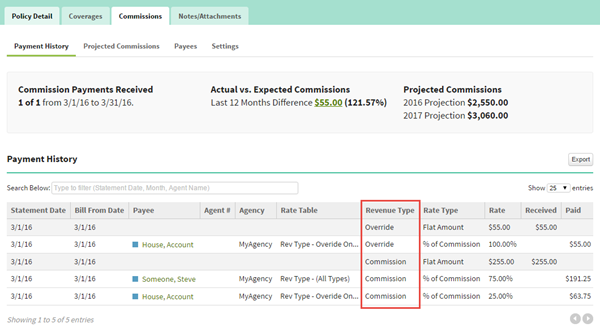 Commission revenue types add another layer to commission processing so your Agency can classify and distinguish commissions by type. 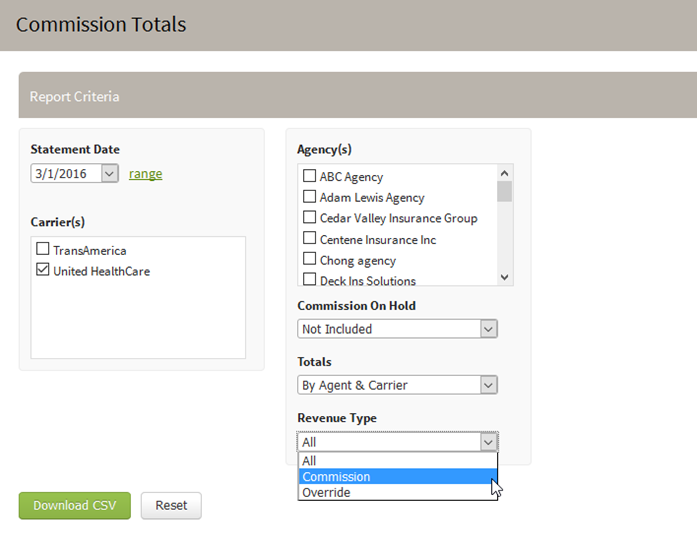 With revenue types you can distinguish an Override from a regular Commission and then pay and track each accordingly. 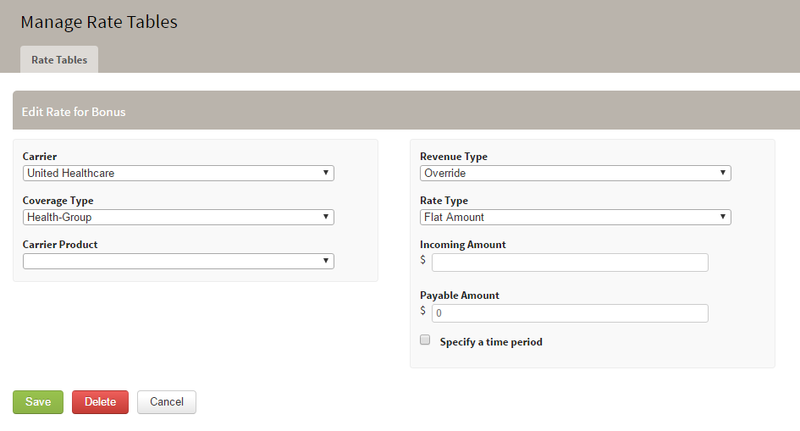 Create distinct payouts by each revenue type. Gain insight into a policy’s payment history and in commission reports. Overall, the addition of commissions by revenue type classification will allow you to classify income to make sure the payout is appropriate, time to process commissions is reduced and reports on revenue analysis can be run. 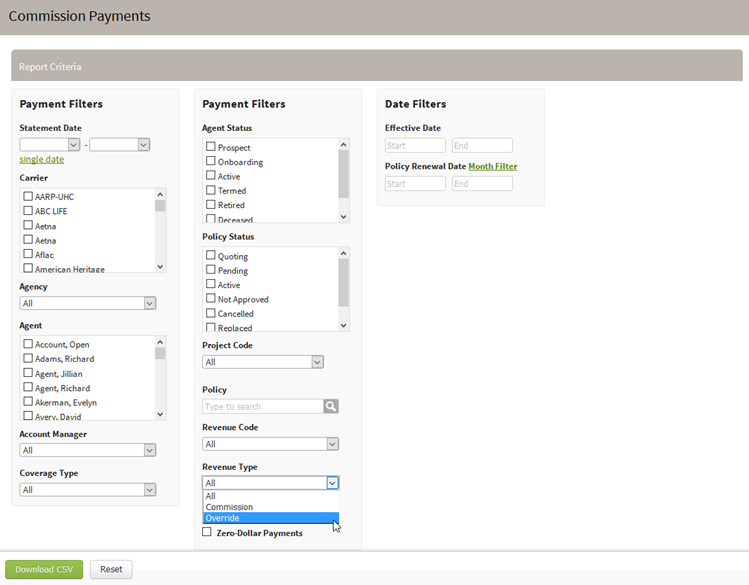 AgencyBloc has two default revenue types - Commission or Override. Additional revenue types can be created as needed. Example: New commissions and Renewal commissions. Example: If you expect to receive both an override and commission, but do not want to pay for the revenue type of override, create a rate with the Bonus revenue type and enter an amount of $0 or 0%. To process and pay commissions, you will import an excel from the the carrier and AgencyBloc mapping will match the report into the system. If the revenue type is blank or no matching revenue type is found, AgencyBloc defaults to the revenue type of Commission. When a matching Revenue Type is found, AgencyBloc assigns that revenue type to the record and pays based on rates established for that revenue type. You can review the details of your commission data with our Commission Reports. Revenue Type is included in the following reports allowing you to further understand your commission data. 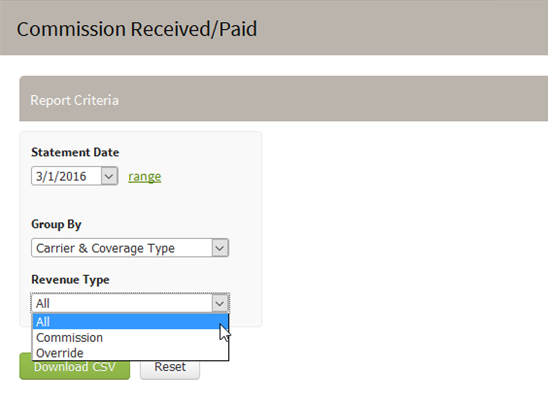 As you are working on Policies, you can review the revenue type of each commission on Payment History. Additionally, sort and filter Payment History to find specific commissions payments.